In the west of Ireland furrowed fields hug the coastline. Many a passer-by pays little to no attention to this ridged farmland, totally unaware these markings are the remnants of our ancestors’ toil. 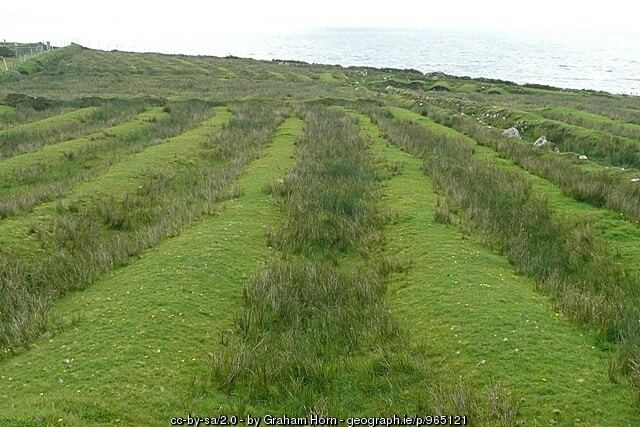 Referred to as lazy beds, these scars on the Irish countryside are evidence of an abandoned system of potato cultivation that once supported generations of Irish people, before the devastation of the Great Irish Famine. 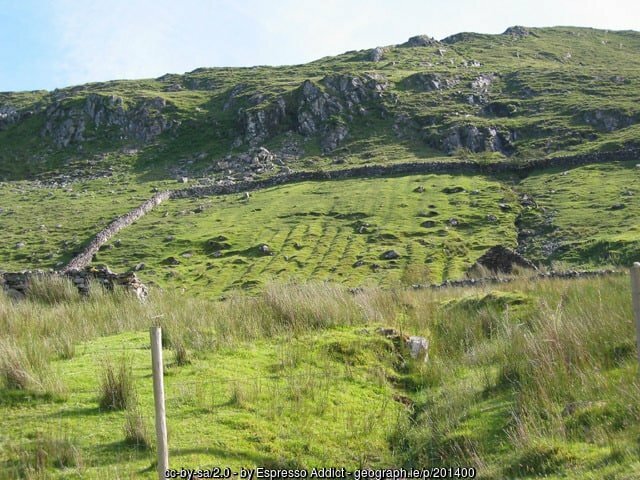 Fields of old lazy beds for growing potatoes, on the southern shore of Killary Harbor, County Galway. As I researched photographs and information for my series of potato posts, the Spud Saga, I came across a collection of images of these distinctively furrowed fields. 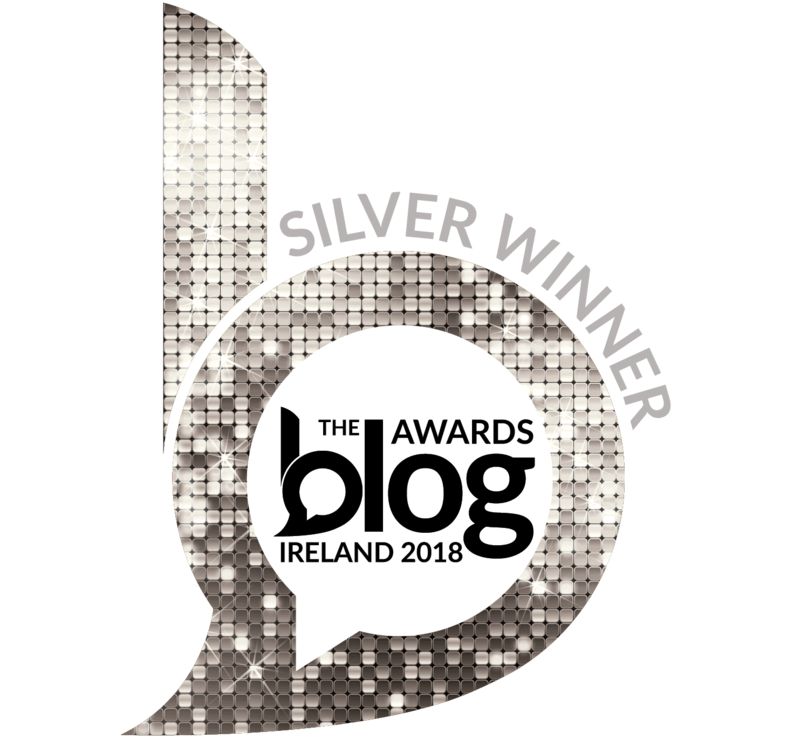 I knew I just had to share them here on my blog, and let readers and Irish tourists know what exactly they are observing when they travel the highways and byways of my homeland. “Lazy beds” is the term for these ridge and furrow patterns. The term was first used by the British as a derogatory term for this ancient system of agriculture utilized in Ireland and Scotland. The British bone of contention was that all the Irish ever did was grow potatoes in their lazy beds. But truth be told, there was nothing lazy about the back-breaking slog of our forefathers, who worked tirelessly to create arable land in an area full of rocks covered with a thin layer of top soil or ancient peat bog. Here’s how lazy beds worked. Farmers would carry seaweed, sand and crushed shells up from the shore and pile it in parallel ridges in their fields. Seed potatoes were planted on the high ridges, then covered with earth scooped up from the sides. The seaweed and sand mixed into the clay of the ridges nourished the growing tubers, ensuring they had a high level of iodine. 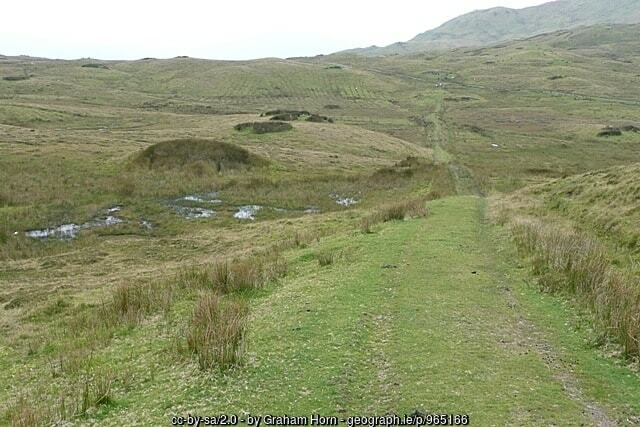 The channels between the ridges followed the slope of the hills or the land, acting as drainage ditches. Over the years the ridges grew higher and the furrowed ditches deeper. 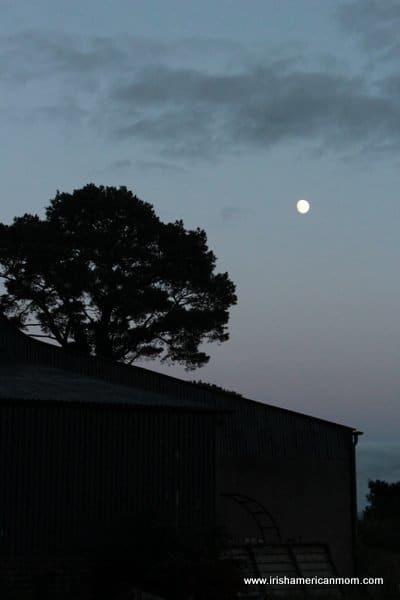 By using this method, poor land which might grow little else, supported flourishing potato crops and sustained millions of Irish people, until the arrival of the dreaded potato blight in 1845. Despite not being used for many years, these lazy beds remain untouched in parts of Ireland. They have withstood the winds and rains over a century and a half, to mark these fields as memorials to their makers. These ridged, hilly fields remind me of the lines from the poem, The Wayfarer, by Patrick Pearse. ~ Excerpt from The Wayfarer, by Patrick Pearse. 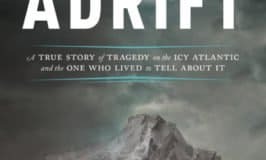 And over a million “mountainy” men and their families perished during the years of the Great Hunger (1845 to 1850), and now reap on the far side of the “gate of Heaven,” which I know was opened wide during those dreadful years. 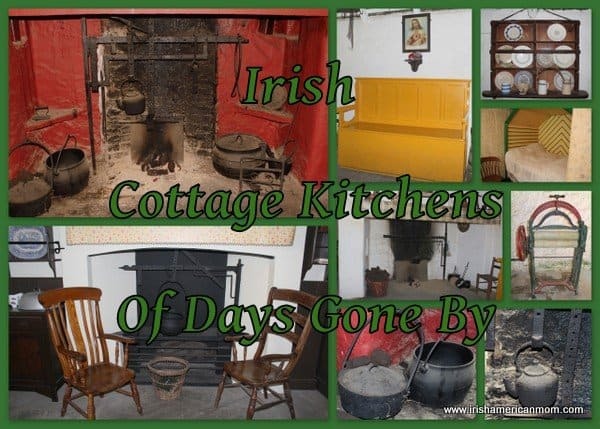 Many of these photographs are from the counties of Galway and Mayo in the west of Ireland. 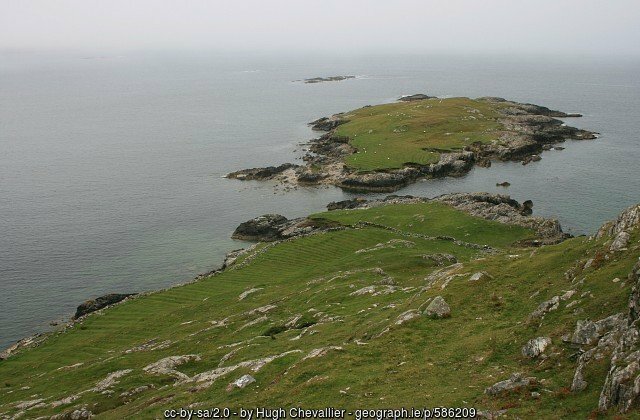 The photo above shows the tiny island of Braadillaun, off the Connemara coast in County Galway. If you examine the closest side of the island, and the adjacent mainland field, the remains of furrowed lazy beds can be seen. 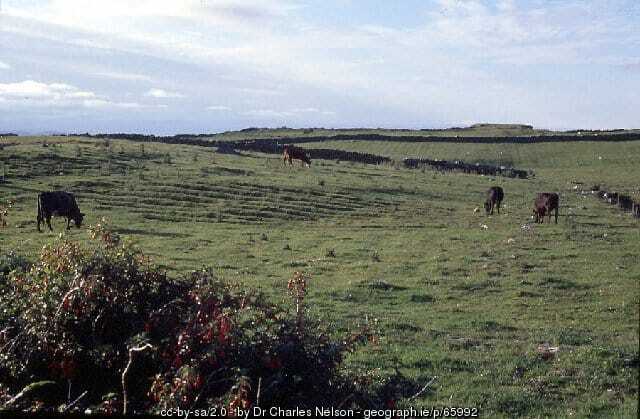 Every square inch of inhospitable and barren land was utilized to feed the growing Irish population, prior to the Great Famine. For anyone interested in seeing the remains of these lazy beds I recommend visiting The Deserted Village on Achill Island, County Mayo. 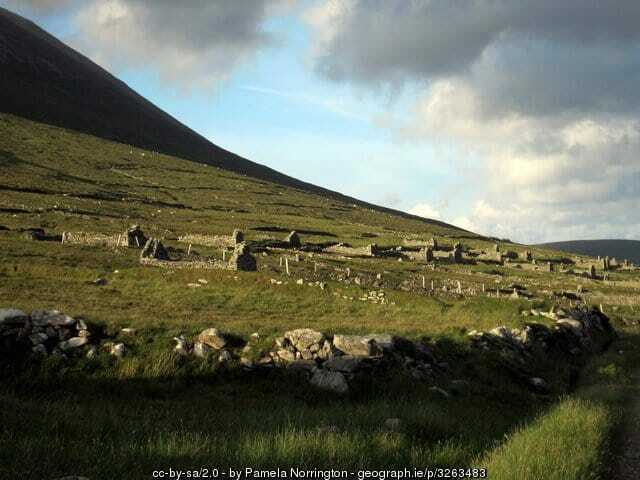 Located on the southern slopes of Slievemore, this abandoned village stretches from west to east for over 1.5 kilometres. Dating from about 1750, there originally were 137 houses in the village, clustered together in three settlements. Today, 84 ruined homes remain. One-roomed cabins, or two-chambered dwellings, some had an outhouse, and some had a stable or shed for animals. 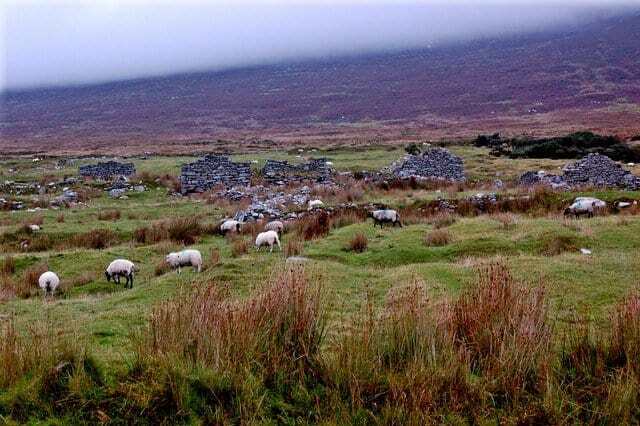 The Deserted Village on Achill Island, County Mayo with grazing sheep and the ruins of stone cottages. © Copyright Joseph Mischyshyn and licensed for reuse under Creative Commons License. The tradition of taking cattle and sheep to the hills for summer grazing is known as ‘booleying.’ The cabins were occupied during the summer months, but residents of nearby villages would return to their homes from the mountainside to pass the winter months. 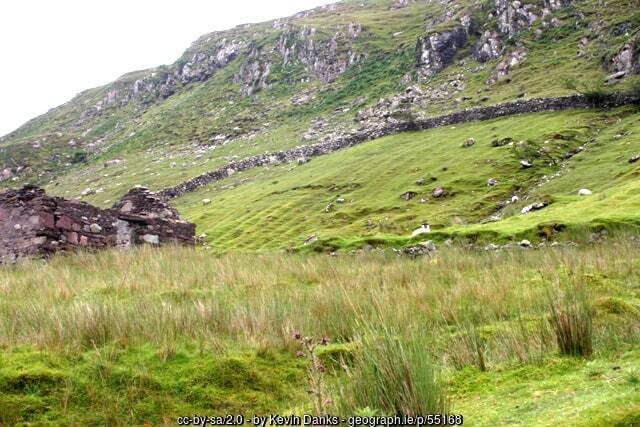 Slievemore Mountain on Achill Island is one of the last places in Europe where ‘booley’ houses were used. 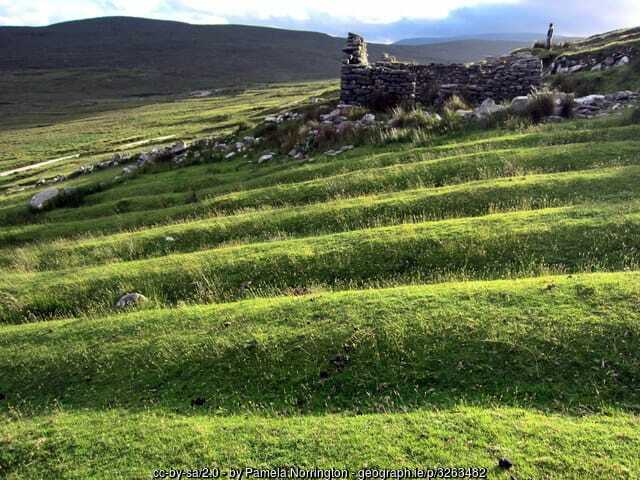 The abandoned stone cottages of Achill Island, with their surrounding fields furrowed with potato ridges, are an excellent way for tourists to envisage what life was like in Ireland, many years ago. 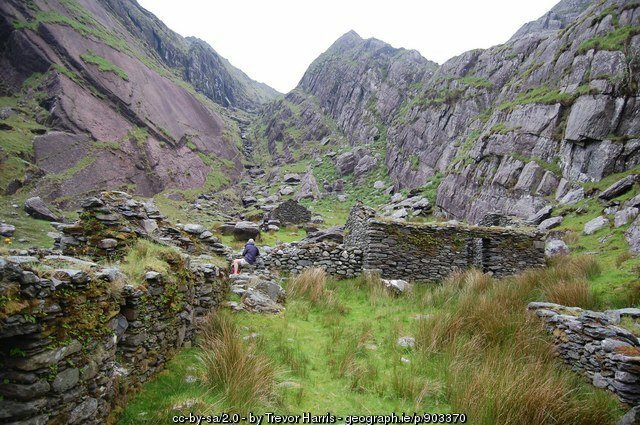 Abandoned hamlet at Cumingeera, County Kerry, with evidence of lazy beds to the fore of the photo. 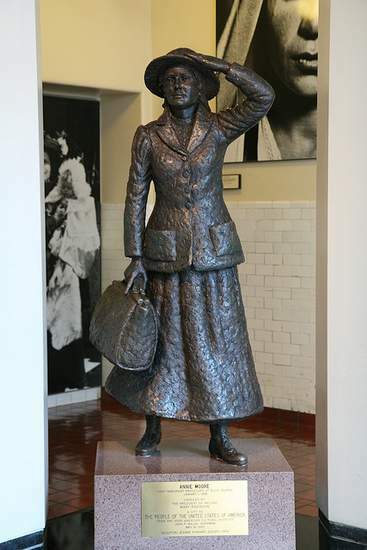 The Irish, became a ‘silent people’ after the anguish and heartbreak of the Great Hunger. Perhaps these mute ridges now speak for our ancestors, reminders of who they were, and their endless struggle to survive. P.S. A big thank you to all the wonderful photographers who shared their work under a Creative Commons License, allowing me to use their images to illustrate this post. I truly appreciate your generosity. What an encouraging, optimistic, can-do phrase, loved throughout America! Today let’s explore the origins of this phrase and let me introduce you to the Irish version of the lemonade philosophy. Do you ever find old words of wisdom spinning in your head, and stop to wonder how on earth that particular saying came to be? 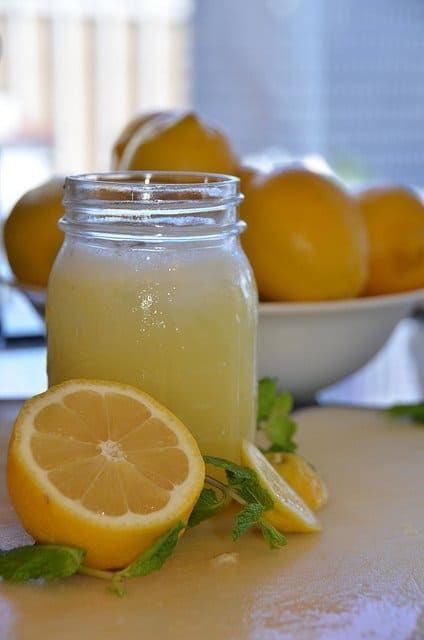 Well, as I squeezed a lemon for some Irish lemon and sugar pancakes the other day, the well-loved lemonade saying started somersaulting round my noggin. And like so many of us nowadays, I took to the Internet in search of an answer. I even ventured outside my own little corner of the world wide web. And quite predictably, I followed the trail where it usually leads, right to Wikipedia, and on their lemons and lemonade page I found my answer. Who can remember leafing through pages of hard bound encyclopedia volumes in search of answers to crazy questions like this one? I’m aging myself now. 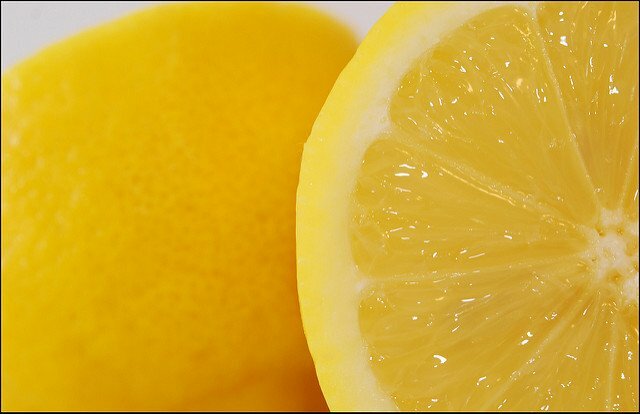 So back to the lemons, before I have to apply them to my face as an anti-aging salve. Well, here’s what I discovered. This beloved lemon statement dates back to 1915. For some reason, I imagined this saying to be much, much older. I had visions of women in petticoats in the hot, sweaty days of the gun slinging wild west, squeezing lemons for lemonade, and dreaming their American dream. I never really thought about how they might have got their hands on lemons in mid-19th century Nebraska, or Kansas or Colorado? So let’s get back to the facts. First used in an obituary written by Elbert Hubbard for an actor Marshall P. Wilder, who was of very short stature, Hubbard praised Wilder’s optimistic attitude in the face of his disability …. And so, this encouraging phrase is truly an American creation, encapsulating the optimistic and hopeful values of all who believe in the American dream. But of course, we Irish could not leave this phrase be. A truly Irish American twist on this good old saying inevitably emerged. 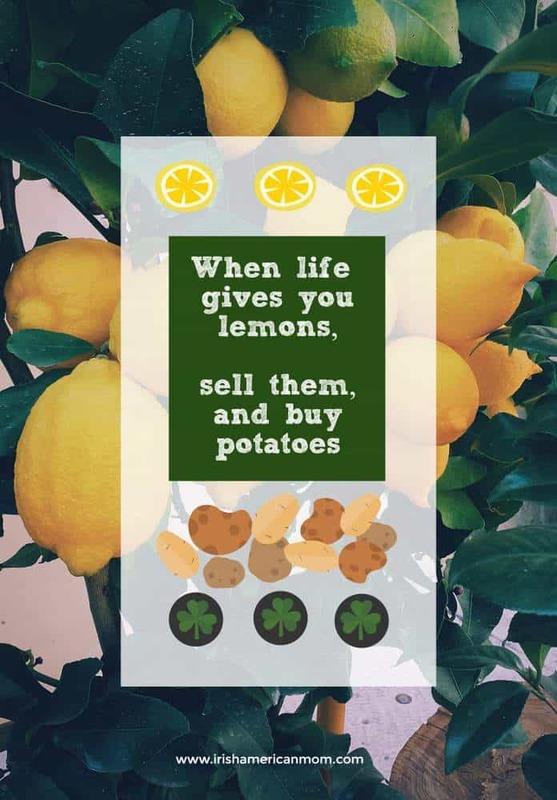 Have you ever heard the Irish lemons and lemonade philosophy? Confession time. This new phrase is one I only recently learned from a reader. It’s an Irish American phrase, and not one born in the old country and brought across the proverbial pond. A reader e-mailed me one day to let me know he enjoyed my ramblings, and that my turn of phrase reminded him of his late mother. And then he shared his favorite maternal quotation, which I just had to share with you here. And so, I share this little bit of Irish American wit and wisdom with you today, in memory of this reader’s wonderful Irish mother. Now as you all know we Irish love our potatoes, and the humble spud played an integral role in the history of Ireland, and America. Potatoes are part of our cultural identity. Some readers requested I write a few blog posts dedicated to the humble spud. Irish people’s obsession with “floury” potatoes was a big topic of conversation in the comment section for my Traditional Irish Potato Soup recipe. 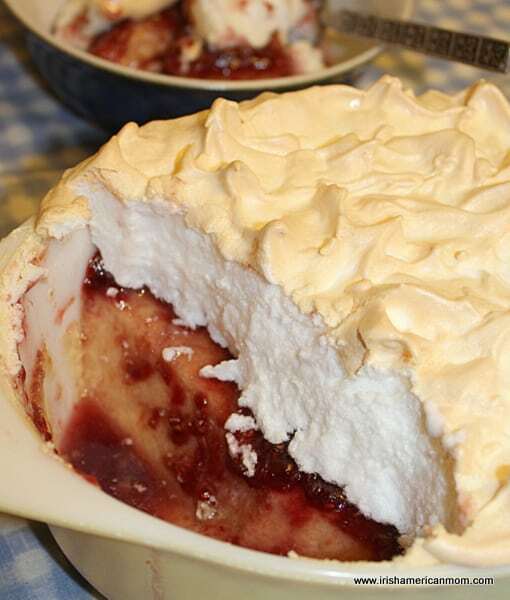 Over the coming days I’ll share some recipes and ramblings all inspired by our beloved Irish spud. So do stay tuned and come back in a day or two for the next installment of The Spud Saga.